We can hang all types of wallpaper for you. This includes the sometimes delicate and expensive designer wallpapers, which often require specialist pastes and skilled hanging techniques. Our experienced decorators will bring you the satisfaction of seeing your chosen paper hung to a professional standard. Cracked ceilings and chipped walls need not prevent a high quality finish. We can smooth over these problem areas by expert application of lining papers. 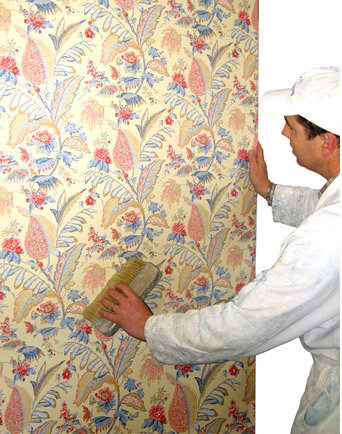 We can often offer your chosen wallpaper at discounted prices, so speak to us before you buy - we may save you money!